Yesterday afternoon I braved the weather to go for a walk and take some photos. Don’t let the sunshine fool you. It was windy and very chilly. I ended up walking for 2 hours and was so tired when I got home. I got a few nice photos for my troubles. 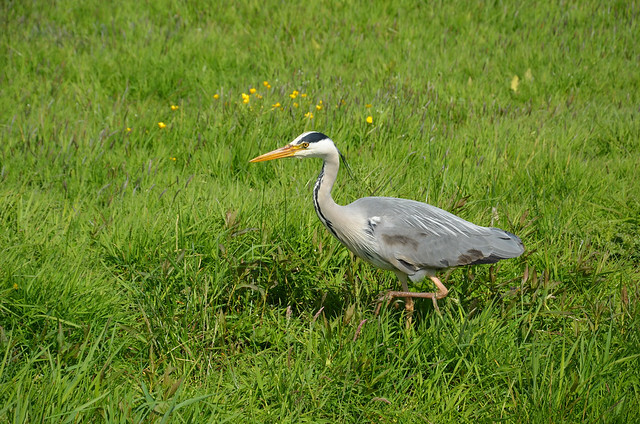 Herons are so common around here. In Amsterdam they are scavengers and hang around the street markets waiting for the fish sellers to pack up for the day so they can get any fallen scraps. These in our local fields are more wild. They are actually hunting in the little creeks. 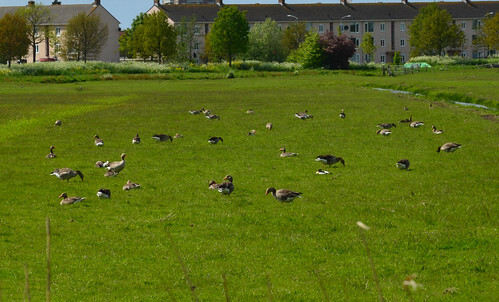 There are geese everywhere. Further out in the fields they are hidden in higher grass and it’s really hard to see if they have any goslings or not. I managed to see these…. Yes, those are WWII bunkers in the background. 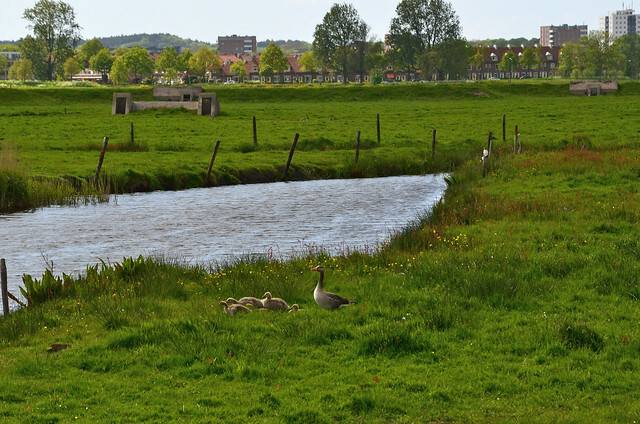 They are still a common site in this part of the Netherlands. 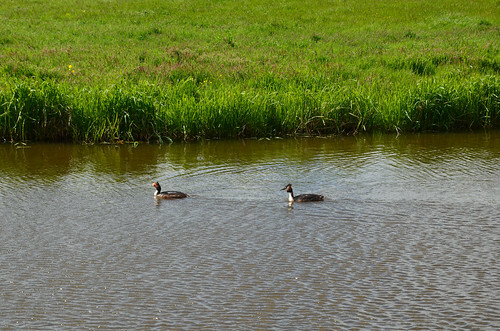 I also saw these birds, which I first called ducks, but DB quickly corrected me and informed me they are ‘fuut’ or grebe in English. Even though there are a lot of wild birds in the area, it’s not really a wild area. There are people everywhere and that means people trash. Some birds are really good at scavenging human waste. 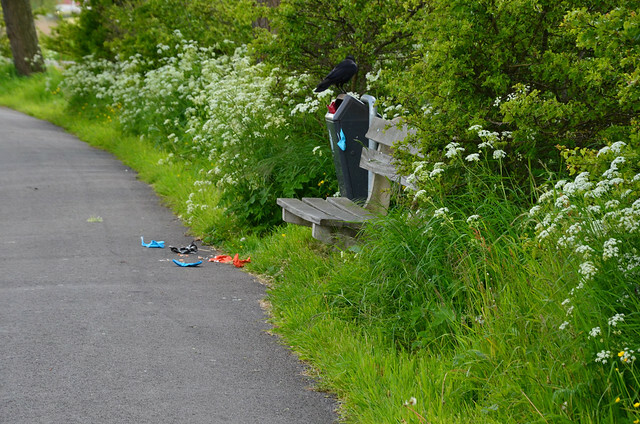 This bird was pulling out everything he found in this trash bin, located next to the path along the Spaarne. I can imagine people will walk by and blame the fishermen or teenagers for the mess, but they’d be wrong. 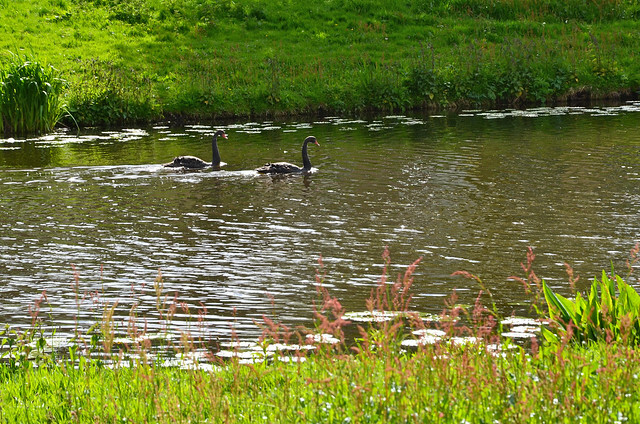 When I was nearly home I saw the local black swans again. Today I saw 4 of them. I think there are 5 in total in the area. They are very difficult to photograph. Their feathers seem to swallow all the light and I either get black holes or reflected shiny light off their backs. Next walking trip I need to head into the dunes and wait patiently for rabbits, foxes and woodpeckers!